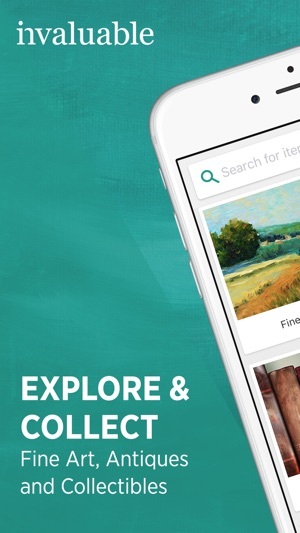 Invaluable is the world's leading online marketplace for fine art, antiques and collectibles, working with more than 4,000 premier auction houses around the world. 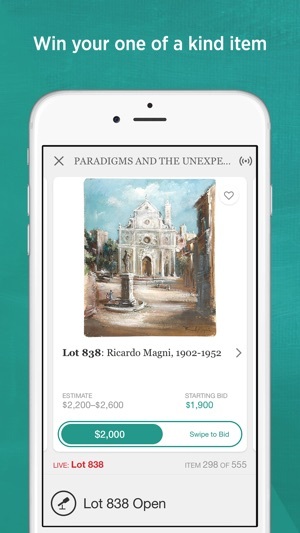 Get the Invaluable app to find the things you love, and participate in live auctions by placing bids in real-time, from any place at any time. 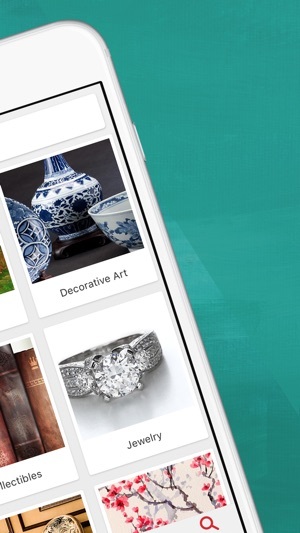 Our latest update includes bug fixes and performance enhancements. This app is plagued with problems. It freezes, crashes, partially loads, stops responding, randomly signs you out, won’t remember your password.... basically every issue an app can have, this has it! I love the Invaluable app. 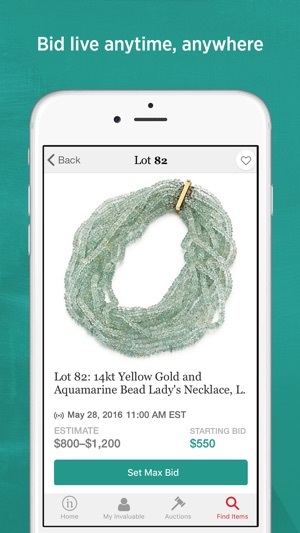 Now I don’t have to run to my laptop to make a bid; I can just pull out my phone anywhere. It’s a must-have for any serious collector and has helped me grow my collection of medieval armor considerably. 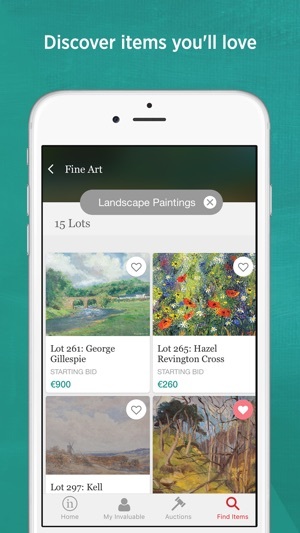 I love the app because I use Invaluable a lot and can bid etc. on the go. But each time I open this app and then close it it fails to recognize my sign- in information the next time. I have to delete the app from my phone and reload for it to work. Not sure I’m going to keep this one.